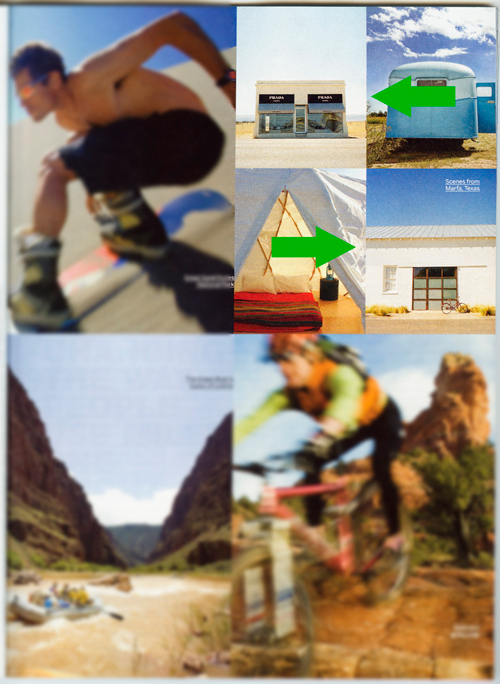 Pick up the current October issue of Outside Magazine and see some of our photos. 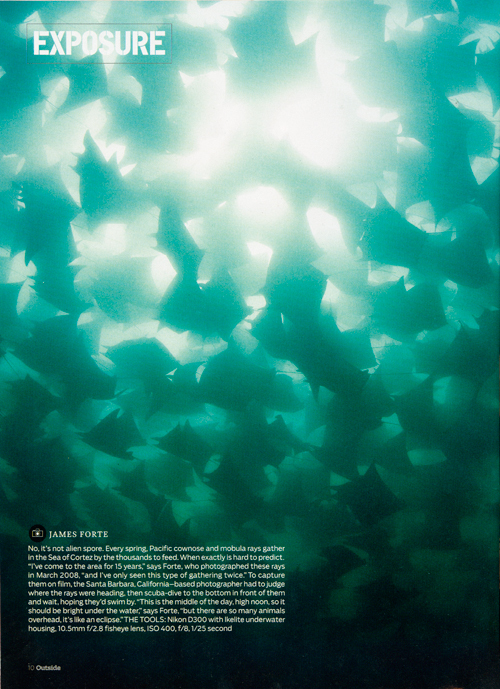 On page 10, you’ll find James’s amazing shot of Mobula Rays underwater. This shot was taken in the middle of the day so it should be really bright, but instead the rays have blocked out all the light. With this dense cloud of rays swimming overhead, James says it was like an eclipse! In a way different part of the world, here are a couple shots from Marfa, Texas. If you ever find yourself on the lone highways of West Texas, this artsy and eclectic town is a must!